Healthcare industry goes through drastic changes in market,patient care and regulatory compliance. Harrington Group International work with healthcare companies to help them provide better service to patients and improve performance. Healthcare organizations face dramatic changes in patient care, market conditions and regulatory compliance. HGI works with healthcare companies to deliver better value for patients, improve performance, and reduce costs wherever possible. We work with healthcare organizations on a full spectrum of strategic, organizational and performance issues. We work with our clients to identify how they can deliver better value for patients, in ways that are consistent with shifting government policies. Our expertise extends to every segment of the industry and brings a unique perspective to healthcare on important issues. Aligning Strategy& Execution for Healthcare for Healthcare. Ms. Duffy has over 15 years’ experience working with healthcare organizations. Among these institutions are Roper Hospital, Saint Francis Bon Secours, VA Medical Center, US Health and Human Services, US FDA, CIGNA Healthcare, St. Francis Hospitals of Indiana and Illinois, the American Red Cross, Munroe Regional Medical Center, and Roper Berkeley Day Hospital. Dr. Trusko has consulted with the Mayo Clinic, the Cleveland Clinic, Mt. Sinai Hospital in New York and the University of Texas Hospital System. 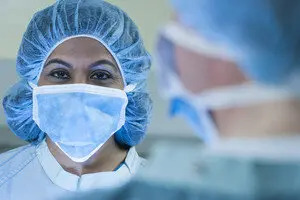 The Harrington Institute has consulting services for provided process improvement and quality management solutions to many of the largest healthcare organizations in the world. Some of the organizations we have served are American Red Cross, Anthem Blue Cross, Blue Shield of California, NISH, Roche Diagnostics, Veterans Administration, Vista Health Plans, Abbot Diabetes Care, Altru Health Systems, Kirkland District Hospital, Bausch & Lomb and many more.